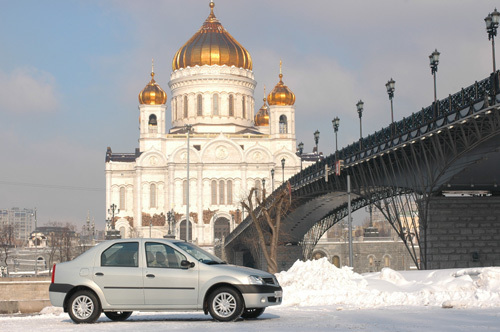 Dacia, from its Romanian roots to the birth of the Logan project, has become one of the cornerstones of Renault Group. When Logan was launched in 2004, it was an instant sales success. Logan then became the spearhead of the brand in winning new markets all over the world. The rest is history... the Dacia range is extended and the Logan project becomes a full Entry range with additions Sandero, Duster, Lodgy, and Dokker. Logan meets a tremendous success from its launch in June 2004. The press is under the spell of this modern car, making a clean break with the outmoded vehicles on offer in emerging markets. By December 2004 orders had already reached 27,000 units in Romania, set against a predicted 11,000. In September 2004, Logan was released in Romania, followed by the Czech Republic, Hungary, Turkey and Slovakia, then, in early 2005, by Poland, Estonia, Lithuania, Latvia, Slovenia, Bulgaria and Moldavia. In June 2005, President Schweitzer decides to proceed with Europe-wide release of Logan. Market response is immediate and hugely positive, much to the surprise of most motor market oracles. The aim is to conquer new markets and bring in new customers. Logans carries a Renault badge in some countries and a Dacia badge in others. In fact, the idea of a second vehicle that would be truly adapted to the hatchback market quickly became a reality. A compact and appealing hatchback, Sandero, developed on the same platform as Logan, was consequently launched in Brazil in 2008. Then came Duster in 2010. 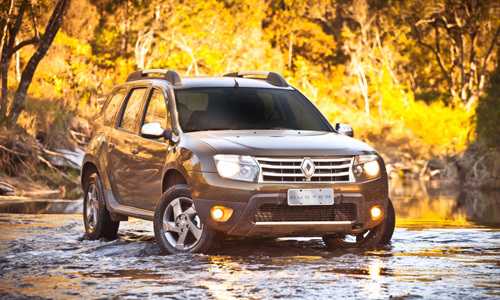 As Sandero was originally designed with Brazil in mind, Duster was developed for Russia, at a time when the company perceived a global trend in SUV development. Other models followed in 2012, in the shape of Lodgy, Dokker and Dokker Van. 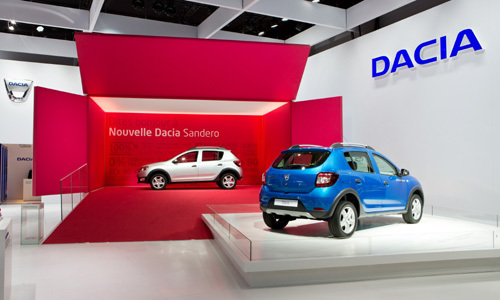 In all, Dacia has launched a whole range in 8 years. The youngest in Europe, with "oldest" model, Duster, only launched in 2010. Designed and developed for fast-growing markets, the Entry range has allowed Renault to significantly increase presence outside Europe and to penetrate new markets. At the end of 2007, 35% of Group sales were made outside Europe, up from 22.8% in 2004. 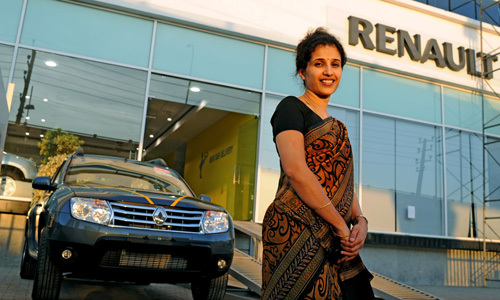 In 2012 a new level was reached, with more than half of Renault sales made outside Europe. This is largely due to the Entry range. 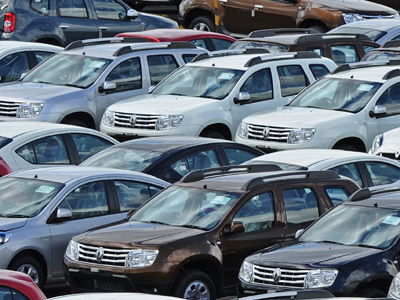 In 8 years, more than four million vehicles have been sold in 96 countries, including the priority Group markets of Russia, India and Brazil. Internationally, the Entry program is fulfilling its initial objectives: to facilitate automobile ownership for the middle classes and allow the Renault Group to gain a position in growth markets. On the mature markets of Western Europe (where the ownership rate is between 500 and 600 vehicles per 1,000 inhabitants), Dacia anticipated shifting customer needs and revealed the emergence of a new trend in consumer behaviour. Dacia was seen as a sensible choice, enabling more people to opt for a robust, spacious and affordable new vehicle. Dacia reliability would earn widespread recognition among customers, the press and specialist organizations, and the resulting customer peace of mind would be backed by low servicing costs, innovative aftersales policy and good trade-in value. Customers also appreciated the clear pricing structure. Dacia enabled many motorists who previously drove used cars (ten years old on average) to buy their first new car and benefit from a 3-year / 100,000 km warranty. 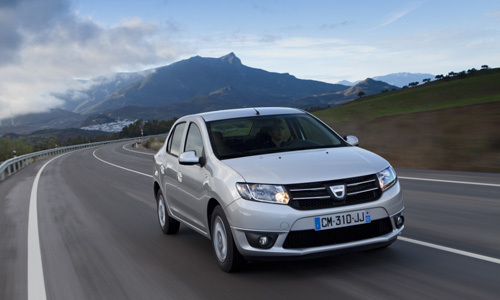 More than 2 million Dacia vehicles have been sold in Europe and in the Mediterranean basin since 2004. 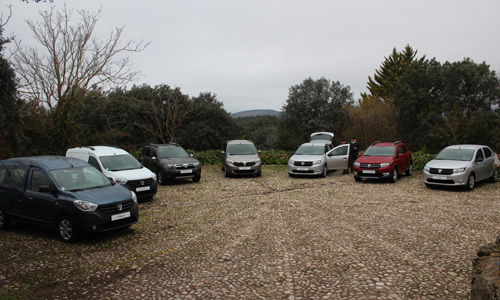 Development continues in 2012 with the broadening of the range with Lodgy, Dokker and Dokker Van. 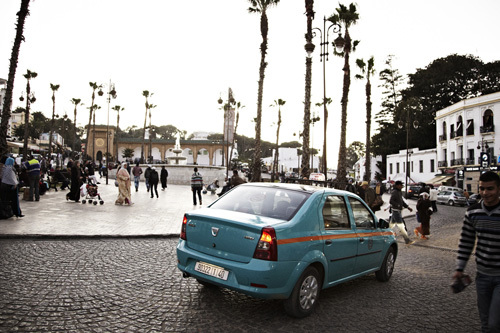 The brand is now present in 36 countries in Europe, Turkey and the Maghreb region. 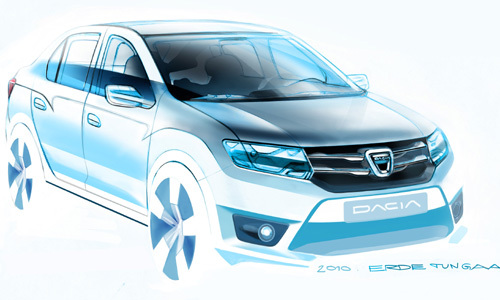 At the beginning of 2013, Dacia will be launched in the United Kingdom and Ireland (with Duster and Sandero). The Entry range is one of Renault's greatest successes in recent years. Entry vehicles are also a pillar of the Group’s profitable-growth strategy. While most carmakers lose money on their entry-level models, Carlos Ghosn recently commented: “The Entry range is one of the most important levers in our profitability. It is an advantage that we should insist upon". And the story is set to continue with the renewal this year of the most emblematic models in the range. New Logan, Sandero and Sandero Stepway, unveiled at the Paris Motor Show 2012, are turning a new page in the success story.